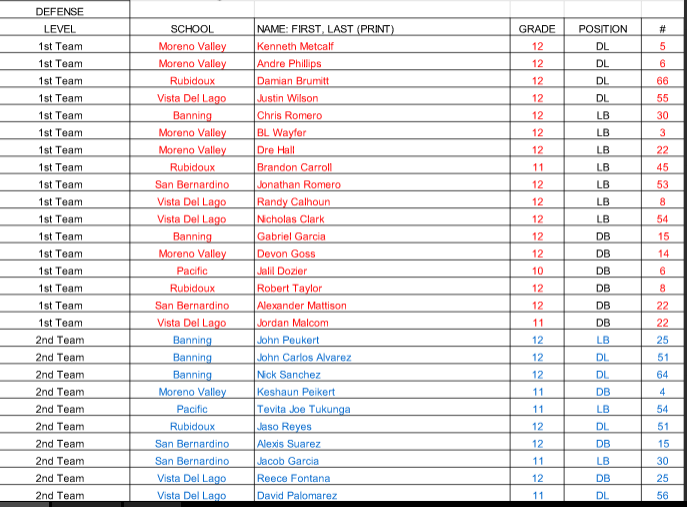 Here are Citrus Belt League all-league teams for fall 2016, sorry for the delay. 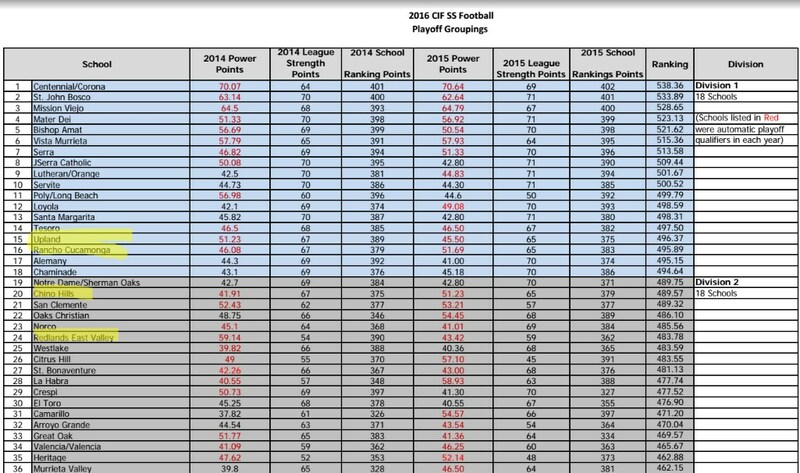 Here are new divisions for the CIF-SS football playoffs, as released last week. San Bernardino County schools are highlighted in yellow. 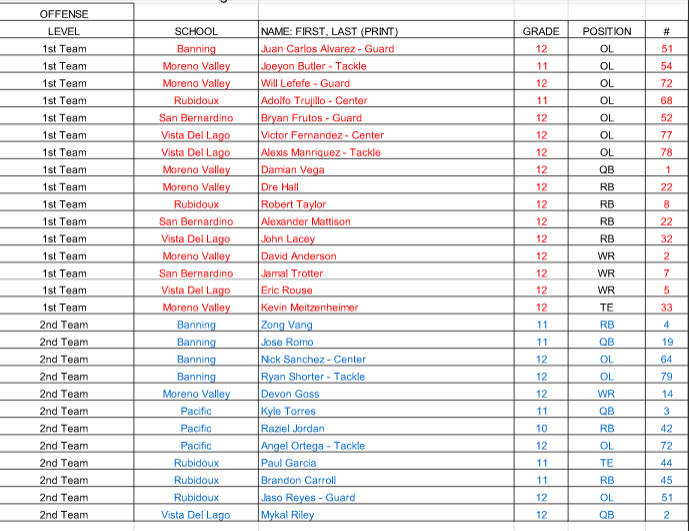 For other fall sports, go to cifss.org. Redlands East Valley’s Jaelan Phillips will play in the 2017 Under Armor All-America football game. Phillips said he became aware of the news this morning over the phone. Marcus Strong of Rialto Carter High School confirmed that he has verbally committed to play football at Washington State University. Strong had offers from San Jose and PAC-12 rivals such as Oregon State and Washington but felt that the Cougars were the best fit for him. Strong believes he still has a few things he wants to address as he prepares for the next step in his career. Strong proved to be a dual sport athlete, playing in the outfield for his high school baseball team. 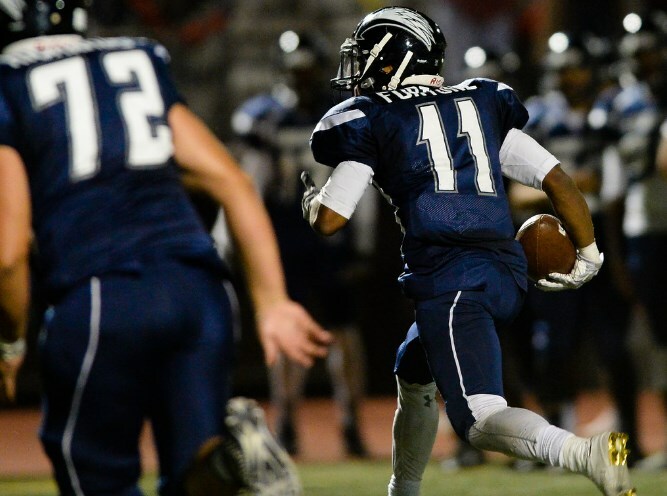 Defensive back Michael Boafo of Redlands High School is resting at home, according to position coach Will Pomfret. Boafo was taken to the hospital during a football game against A.B. Miller when he collapsed on the sideline Oct. 16. When it was that discovered that he had bleeding in his brain, he underwent successful surgery that same night.